Costs – Information on common tree service costs in Salem, Oregon. FAQs – Facts to know before planting trees in Salem, including species that do and don’t thrive, city regulations regarding trees, current tree diseases and more. Services – List of tree service pros serving the Salem, Oregon area. How Much Do Tree Services Cost in Salem? Unlike yard work and gardening, taking care of trees in the Salem, Oregon area is best left to professional contractors and companies. This is because these jobs are often larger in scope, requiring qualified experience and special equipment to keep the job site safe. Services such as stump removal, tree trimming or tree removal may damage property if not done correctly. This guide offers a general cost breakdown for different Salem tree services. There are two types of tree removal in Salem, Oregon. The first deals with removing trees before they fall and do damage to power lines or structures. The second deals with removing trees that are simply too large for the space they occupy. Tree removal in Salem generally runs between $790 and $1,150 in most cases. It is more expensive to remove trees that pose imminent threat than it is to remove trees that do not. The average cost of Salem private property tree removal is $960. The most common way to remove stumps is by stump grinding. This involves wearing down the stump using specialty equipment until the ground is flat. This is preferred to stump removal because it costs less money and doesn’t tear up the landscaping. It also creates mulch. The cost of stump grinding in Salem is generally between $78 and $143. For stump removal, which is not as popular but might be necessary in certain circumstances, it may cost up to $225 or $250, depending on the size and type of the tree stump. Tree maintenance comes in many different options and project sizes, and the cost of any given project depends largely on how much needs to be done. In Salem, the average cost of a branch cutting, pruning or trimming project is about $1,060. Most homeowners and business owners spent between $985 and $1,135 on their tree maintenance projects. 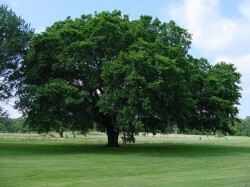 Factors affecting cost include number of branches on the tree, tree height and type. Salem, Oregon is located about 50 miles south of Portland along the Pacific Ocean. Its trees thrive in a rainy climate and mild sea breezes common to the Pacific Northwest. It is quite temperate for being far north, and the climate is in many ways downright Mediterranean. The city itself is dedicated to its green spaces, and its residents tend to be keen on decorating their homes with beautifully maintained trees. While there aren’t any laws on the books for the state of Oregon about tree removal, Salem is slightly more invested in its arboreal regulations. 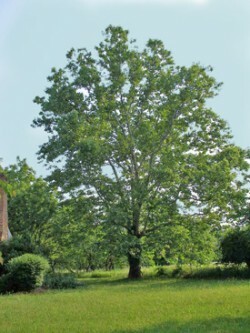 Certain types of trees are designated as heritage trees; these include the Douglas fir, sycamore, American elm and Hagar Family pear tree, which require a permit for removal. The city’s Parks Department may need to be consulted before removing some trees that are 12 inches or greater in diameter. Fewer regulations are required if trees are diseased or hazardous and must be removed. Generally speaking, as long as a tree won’t grow above 20 feet in height, it should be fine to place underneath a power line in Salem. The best time for tree removal is during the fall season, when the trees have finished flowering and fruiting but the ground has not yet frosted over. Many people typically remove their trees in late September through October. Although the climate is mild, the first frost sometimes happens in November, so it is best to get trees removed before then if necessary. Pruning happens before springtime to help train trees to grow in an attractive shape during the growing season. Oregon’s state tree is the Douglas fir, a stately conifer that grows throughout the state’s massive protected forests. This is the second-tallest conifer in the world, and it reaches in excess of 250 feet tall. Redwood trees are the tallest trees in Salem and greenspire linden trees are the shortest. Salem is in climate zone 8 and as such is a good location for many different types of fruit trees. Popular options include pear trees, nectarines, cherry trees, apricots, mulberries and plums. Some pests and diseases that have hit Salem trees hard recently have been the Western spruce budworm, the mountain pine beetle, the pine butterfly, Swiss needle cast and sudden oak death. 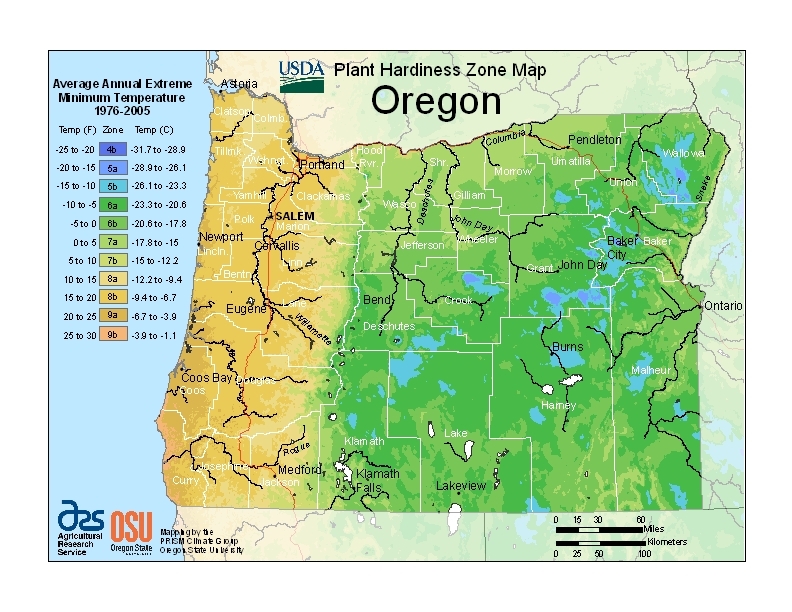 Salem sees a lot of rainfall and has a relatively mild climate, and as a result, there aren’t many trees that have a hard time growing there. Apart from trees meant only for tropical climates such as citrus and other types of fruit trees, Salem is the ideal location for trees! As long as owners take care of trees in Salem, the trees will likely reward them with full leaves, beautiful flowers and delicious fruits.